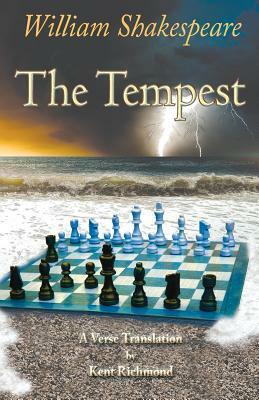 The Tempest: A Verse Translation (Paperback) | The Drama Book Shop, Inc. This complete, line-by-line translation makes the language of Shakespeare's The Tempest contemporary while preserving the metrical rhythm, complexity, and poetic qualities of the original. The aim is to capture both sound and sense of Shakespeare's drama without the need for glosses or notes-to use contemporary language without simplifying or modernizing the play in any other way. Readers experience this tale of intrigue, adventure, and romance with the challenge, comprehension, and delight of audiences 400 years ago-the way Shakespeare intended. Features * Line-by-line verse translation, not a prose paraphrase. * Complete. No lines deleted or simplified. * Accurate and authentic iambic pentameter. * True to the feel and look of Shakespeare's original. * Tone, complexity, and poetic devices preserved. * Subtlety and richness revealed without distracting notes and glosses. * For students, an accessible introduction to classic drama. * Attractive, uncluttered, easy-to-read layout. * Perfect for an audience-pleasing theatrical performance. "Too often, unless we read a Shakespeare play beforehand, we process the language as if it were coming from a poorly tuned-in radio station. Shakespeare didn't write his plays to be experienced impressionistically as 'poetry;' he assumed his language was readily comprehensible. At what point does a stage of a language become so different from the modern one as to make translation necessary? Mr. Richmond is brave enough to assert that, for Shakespeare, that time has come. The French have Moliere, the Russians have Chekhov-and now, we can truly say that we have our Shakespeare." -John McWhorter, Manhattan Institute "Richmond has performed a service for English-speaking students everywhere." -Boak Ferris, Calif. State Univ. Long Beach.